Dental crowns and bridges are a leading treatment for missing or damaged teeth. In fact, 15 million Americans have gotten crowns or bridges installed to fix their dental issues. 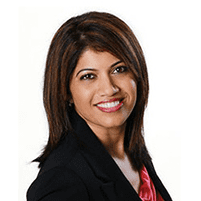 At Perfect Smiles Dentistry in Everett, Washington, Kavitha Gowda, DDS, works with men and women to eliminate the presence of gaps or missing teeth. Call or go online today to find out more. A dental crown, also called a "cap," is placed on top of a damaged tooth. It's designed in the shape of the original tooth and is placed on top of the original tooth, completely covering the area of the tooth that can be seen above the gum line. It's sealed in place with a special cement. Dr. Gowda might recommend a crown to cover a dental implant or a discolored or oddly-shaped tooth. A crown can also provide support to a tooth. Teeth with large fillings and little natural tooth remaining are especially susceptible to breaking, but a crown can prevent this from happening. Metal crowns are resistant to chewing and eating, but due to their striking color, are usually reserved for use in the back of the mouth. Porcelain fused to metal crowns look more like natural teeth than metal crowns but have some drawbacks. For example, the metal portion of the crown might show as a dark line close to the gums. The opposing teeth may also experience more wear than they would with another type of crown. A dental bridge functions similarly to a crown, although it doesn’t cap a tooth. It connects the teeth surrounding a gap. Your provider at Perfect Smiles Dentistry places a prosthetic tooth attached to anchoring crowns on either side. When should I consider getting a bridge? Dental implants are typically the most effective way of fixing gaps in your smile. However, not everyone reacts positively to the metal posts required for a proper implant installation. If your bone density is too low or your gums too unhealthy, Dr. Gowda might recommend a bridge. Bridges become a requirement when there isn’t enough room for an implant without the support of a brace. Dr. Gowda can successfully install a bridge in one or two visits. Don’t put up with missing teeth or gaps in your smile anymore. Contact a team member at Perfect Smiles Dentistry today by phone or online to learn more about what crowns and bridges can do for you.